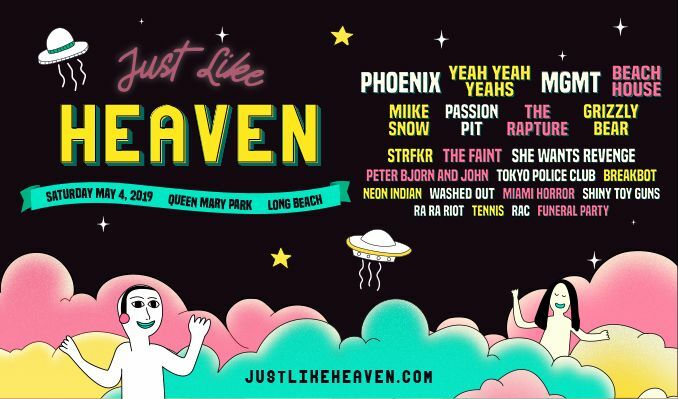 The nostalgic indie-rock festival, Just Like Heaven, is hosting all your favorite bands from the early to mid-2000s, and they just announced a second day. Like many of us, one may have seen this one-day event announced and before you could confirm it was real, tickets were all gone. Luckily, the Golden Voice team has added a second date on May 3rd, in addition to the original May 4th. The event seems to have dropped out of the sky from nowhere. 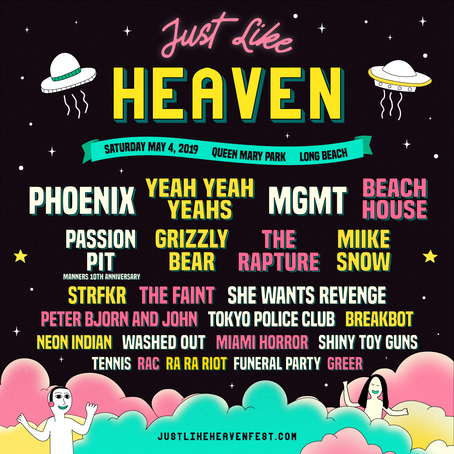 The line-up boasts 4 main acts: Phoenix, MGMT, Yeah Yeah Yeahs and Beach House. That’s only mentioning a few of the many great names joining the fun at Queen Mary Park in Long Beach. Make sure to grab your tickets before you miss out on both days!